To be successful, students and adults need technology skills and the ability to apply them in practical ways in daily life, in learning opportunities, and in their jobs. But how do people develop these needed skills? 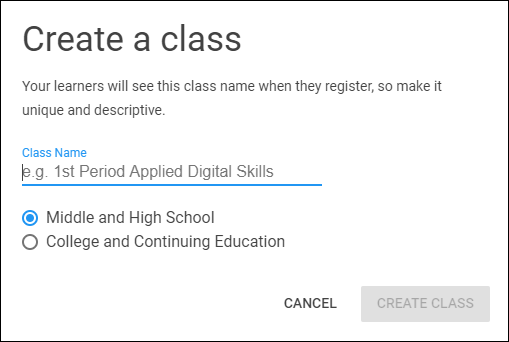 One excellent option is Google's Applied Digital Skills program. This is a totally free, online curriculum, with engaging videos and practical projects that teach technology skills to students (middle and high school) as well as adult learners. In this post we will take a look at four topics: "What is Applied Digital Skills? ", "What is in the curriculum? ", "What is the instructor experience? ", and "What is the student experience?". 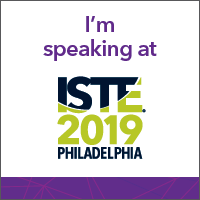 Also, see below for details about several free trainings I will be leading in the coming months to help educators get up and going with the program. What is Applied Digital Skills? Note: Although different units are labeled as "Middle and High School" or "College and Continuing Education" they really can be used for any learner from middle school through adult. 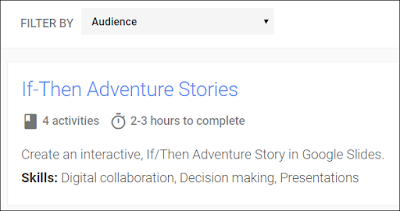 If-Then Adventure Stories - In this unit, learners create an interactive If/Then Adventure Story in Google Slides. Research & Develop a Topic - In this unit, learners use Google Search and Google Docs to research information about a topic while learning about source credibility. 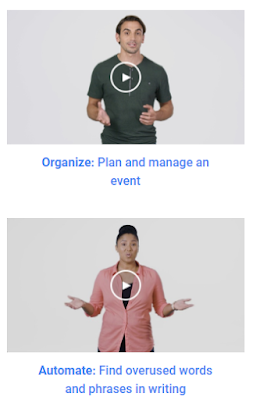 Plan an Event - In this unit, learners use the G Suite to choose, plan, and organize an event. Plan and Budget - Research and collect data about real-life expenses in Google Sheets, such as a long-term, contractual purchase, like a cell phone and data plan. 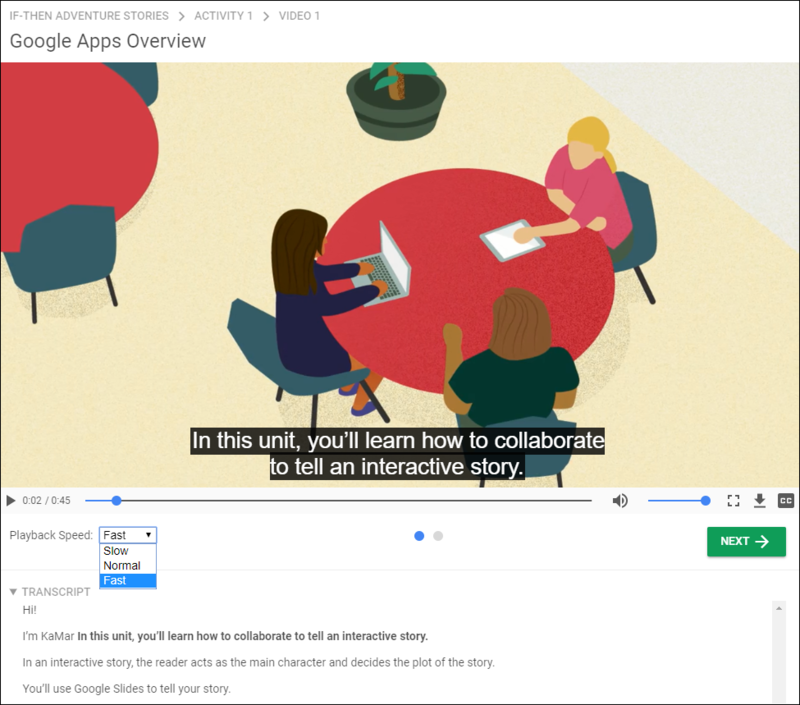 Create an Editing Tool with Programming - In this unit, learners use Script Editor to create an "Auto Editor" tool that finds and highlights overused words in a piece of writing using Google Docs. 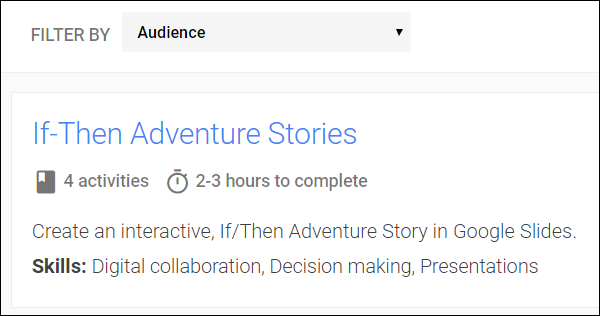 Pick the Next Box Office Hit - In this unit, learners use Google Sheets to analyze movie data, then select, market, and pitch a movie using Google Docs, Google Draw, and Google Sites. Create a Presentation "All About a Topic" - Create an interactive presentation in Google Slides to share information about any topic. 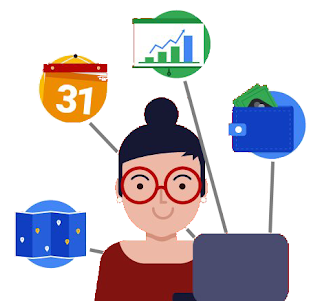 Use Google to Get a New Job - Use G Suite to help you search for job opportunities, explore career sites, write a resume, submit applications, and practice interviewing. Manage a Project with Digital Tools - Create a project charter document, track project details in a spreadsheet, estimate and manage expenses in a spreadsheet, and build a slides presentation to update project progress. Research and Writing - Use digital tools to research, draft, and revise a paper. Digital Tools for Everyday Tasks - Improve your communication skills by searching, planning, emailing, and collaborating with digital tools to arrange an activity with a friend. For details on the technology tools and skills addressed in each unit, see my "Applied Digital Skills Topic Matrix" spreadsheet. What is the instructor experience? As a teacher you can create classes for students to join, which will allow you to monitor their progress as they move through the curriculum. Below are the basic steps for educators. Click "Sign In" from the navigation bar or from the web page. Choose your Google account to sign in with. Choose "I am an instructor". Enter and save your profile information. The new class window will open after first login. In the future you can click the "+" button in the bottom right corner of your dashboard to make a new class. Choose "Middle & High School" or "College and Continuing Ed"
You will now get a class code to give to students to they can enroll in your class. 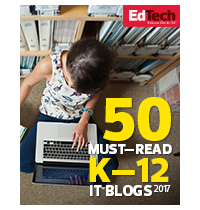 Click the "Curriculum" menu at the top to explore all of the content. Use "Filter" if desired to limit the units shown by audience and state standards. Click on any unit to explore. 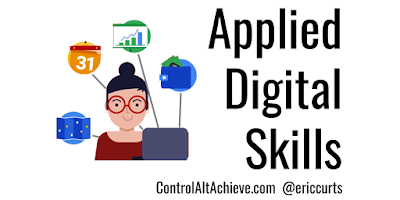 Learners can use the Applied Digital Skills curriculum as part of a class created by their teacher, or they can simply explore the content on their own if they do not have a participating teacher. Below are the basics steps for a student or adult learner. From navigation bar or from home page choose "Middle or high school" or "College and continuing education". Choose "I am a learner". Choose if you are taking the course with an instructor or on your own. Enter the course code provided by your instructor. Confirm your school to finish. You will start with the first lesson of the first unit. In the future you will start wherever you left off. You do not have to go in order, or complete every lesson. You can click the "Curriculum" menu at the top to choose the unit and lesson you wish to do. Each lesson will have a video. There are several options for each video. You can change the playback speed to speed up or slow down the video. You can turn on closed captioning to see subtitles for what is being said in the video. You can expand the "Transcript" section to see all of the text from the video, which will highlight while being spoken. 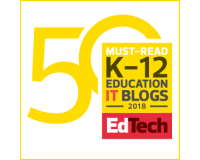 Now more than ever, technology skills are critical for students and adults to by more efficient in life tasks, to be successful in their education, and to be competitive in the job market. 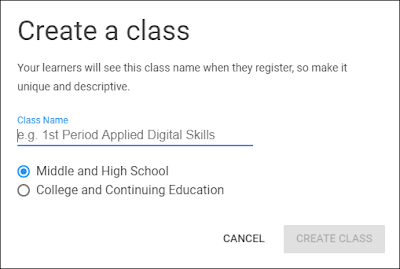 Thankfully Google has developed and provided the Applied Digital Skills curriculum as one more way to address these needs in an engaging, practical learning experience. 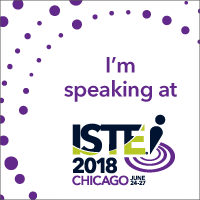 Be sure to check out and take advantage of this amazing free resource, no matter what subject you teach, or even for your own personal and professional development. Thank you so much for sharing this resource. 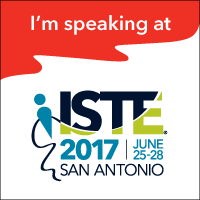 I have limited time (45 minutes a week) with my students. This is perfect! Eric, thank you for this post. Thorough and understandable. 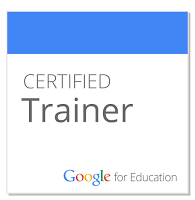 One question: I'd heard from Amy Mayer that Google was going to have a certification test for learners using this curriculum. Has that been released? 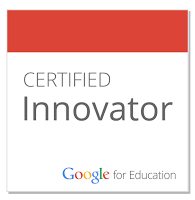 It is still in Beta testing, but you can get details here: https://cloud.google.com/certification/gsuite and in the Applied Digital Skills FAQ which says "We recommend that learners of Applied Digital Skills consider taking the G Suite certification when it is released later in 2018. If you subscribe to our e-mails, you will receive notification of its release with additional information about how to register for the exam. 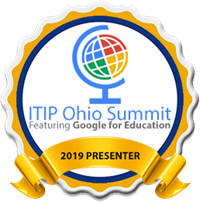 The G Suite certification is a professional certification, and we're excited to offer it to learners of Applied Digital Skills."